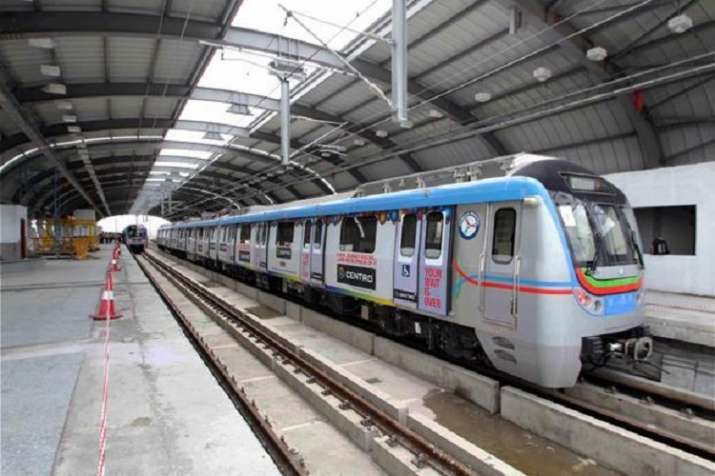 The Hyderabad Metro Rail on Wednesday threw open a key 10 km stretch connecting Hitec City, the information technology hub. The much awaited Metro service on the Ameerpet-Hitec City route was inaugurated by Telangana and Andhra Pradesh Governor ESL Narasimhan at Ameerpet Interchange Station in a low-key affair in view of the model code of conduct in place for the general elections. The train operations will start at 4 p.m. on Wednesday.